overweight control (energy burning) in a much more fun and rewarding way than going to a fitness club! Wushu is an excellent mean to improve self-confidence! You can know your body better and develop its skills, you can master choreographies with defense/attack techniques, and you can meet amazing people sharing the same interest! 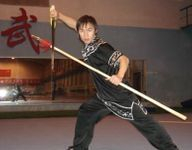 Apart from what you can get physically and socially, you can also get cultural assets by getting to know more about Chinese Martial Arts and Chinese culture. You can even learn some Mandarin! 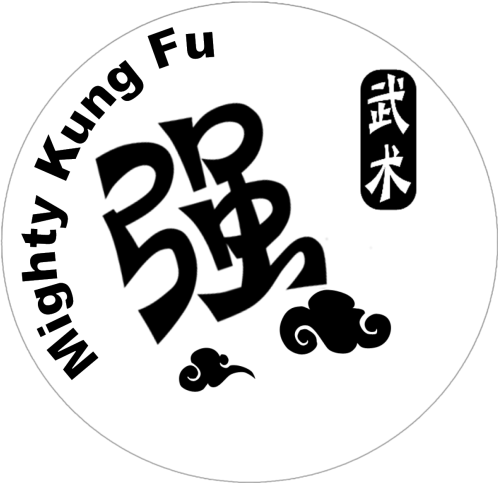 In Chinese, kung fu (功夫, gōng meaning "work" or "achievement" and fū, means "intensity") can also be used in contexts unrelated to martial arts, and refers to any individual accomplishment or skill cultivated through long effort and hard work. Wǔshù is a more precise term for general martial activities. It literally means "martial art" (武术, wǔ meaning "martial" or "military" and shù means "discipline", "skill" or "method”). Wushu includes some self-defense techniques too. Wushu has also become the name of the modern competitive sport of Wushu, an exhibition and full-contact sport of bare-handed and weapons forms. As gymnastics, it is judged to a set of aesthetic criteria for points. It developed after 1949 in the People's Republic of China. 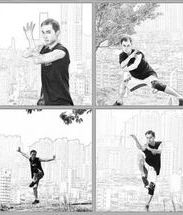 Wushu forms are series of predetermined movements combined so they can be practiced as one linear set of movements. The forms comprise basic movements (stances, kicks, punches, balances, jumps, sweeps and throws). Modern Wushu competitors are increasingly training in aerial techniques such as 540-, 720-, and even 900-degree jumps and kicks to add more difficulty and style to their forms. Forms gradually build up a practitioner's flexibility, internal and external strength, speed and stamina, and teach balance and coordination. Many styles contain forms that use weapons of various lengths and types, using one or two hands. Forms are meant to be practical, usable, and applicable as well as promoting flow, meditation, flexibility, balance, and coordination. Shane Yan 720 jumps / kicks. Changquan (長拳 or Long Fist) refers to long-range extended Wushu styles like Chaquan (查拳), Huaquan (華拳), Hongquan (洪拳; "flood fist"), and Shaolinquan (少林拳), and includes speed, power, accuracy, and flexibility. 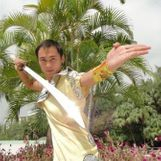 Changquan is difficult to perform, requiring great flexibility and athleticism, and is often practiced from a young age. Nanquan (南拳 or Southern Fist) refers to Wushu styles originating in south China including Hongjiaquan (Hung Gar) (洪家拳), Cailifoquan (Choy Li Fut) (蔡李佛拳), and Yongchunquan (Wing Chun) (詠春拳). Nanquan typically requires less flexibility and has fewer acrobatics than Changquan. Taijiquan (太極拳, T'ai chi chuan) is a Wushu style famous for slow, relaxed movements, often seen as an exercise method for the elderly, and sometimes known as "T'ai chi" in Western countries. Dao (刀 or knife) refers to any curved, one-sided sword/blade. Jian (劍 or double-edged sword) refers to any double-edged straight sword/blade. Gun (棍 or staff) refers to a long staff (shaped from white wax wood) as tall as the wrist of a person standing with his/her arms stretched upwards. Qiang (槍 or spear) refers to a flexible spear with red horse hair attached to the spearhead.